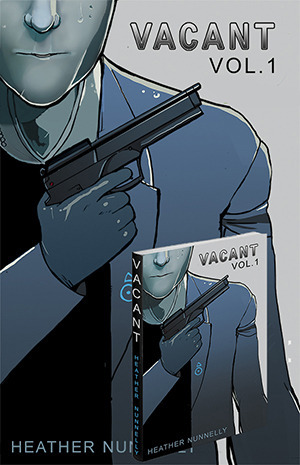 Seven more pages of VACANT has been uploaded for Issue 4 and 5. Also, the Vacant site was transferred over to WordPress which has a better comment system and an RSS feed. I hope you guys like the updated set up. QRD finally put up their interview with me, too. Here is the link for those who want to read.